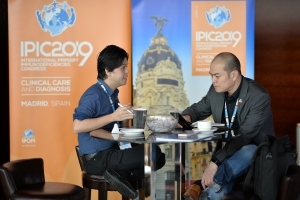 IPOPI has once again teamed up with top scientific and clinical experts in the PID field to ensure the latest and most pressing clinical care priorities are featured on the programme. The Organising Committee (OC)’s main task is to manage the congress programme whilst the Scientific Committee (SC) provides scientific guidance and supports the Continuing Medical Education accreditation process. Mrs Jose Drabwell (OC President), Prof Aziz Bousfiha, Dr Beatriz Carvalho, Prof Charlotte Cunningham-Rundles, Nurse Carla Duff, Dr Nizar Mahlaoui, Prof Isabelle Meyts, Dr Olaf Neth, Dr Susana Lopes da Silva, Mrs Martine Pergent, Mr Johan Prévot, Prof Surjit Singh, Dr Narissara Suratannon, Prof Martin Van Hagen, Prof Klaus Warnatz. Dr Nizar Mahlaoui (SC President), Dr Luis Allende Martinez, Dr Tadej Avcin, Dr Nicholas Brodszki, Prof Alain Fischer, Prof Steve Holland, Dr Pamela Lee.